Many men and women wish they had been born with charming dimples to adorn their face. In some cultures, dimples are considered a sign of good luck and prosperity. Also, dimples help brighten up a smile and add character. In short, a dimple is the natural result of a small defect within the muscle. The skin that sits atop this small muscle defect essentially conforms to the underlying tissue, creating the effect of a dimple in the cheek (or chin sometimes) when you smile. Perhaps you’ve always wanted dimples to give you a cuter, sweeter look. Or the case may be that, aside from yourself, everybody else in your family has dimples. Whatever the reason may be, if you find that you’ve always admired cheek or chin dimples and longed for them for yourself, a dimple creation procedure may be the right option for you. A dimple creation procedure can give you dimples that fit right in to the contours of your face, and complement your features. To create a dimple, a small painless incision is made in the inside of your cheek. There is no incision or scar on the outside skin. A small absorbable suture is passed through the inside of the cheek and catches the under surface of the skin where the dimple is desired. When this suture is tied it causes a dimpling in the overlying skin. At first there is a dimple present even without smiling, but after some days, or sometimes a few weeks, the dimple is only present while smiling or moving the face. 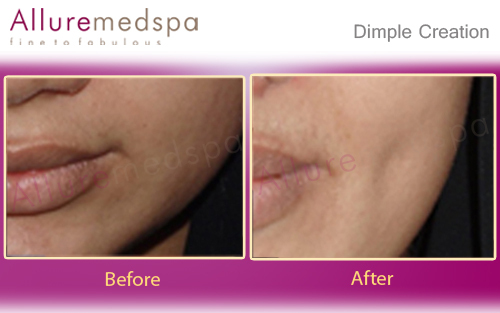 A dimple creation procedure is relatively simple and is typically performed in the Cosmetic Center. A dimple procedure does not leave any visible incisions or scarring on the outside of the patient’s face. 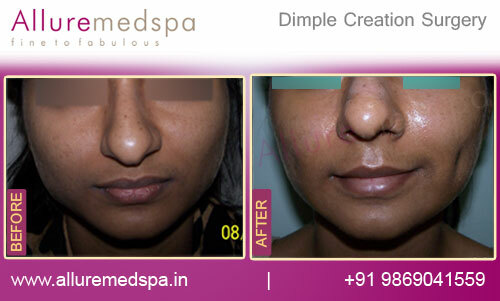 Surgery to create dimples can be done on any cheek or chin. 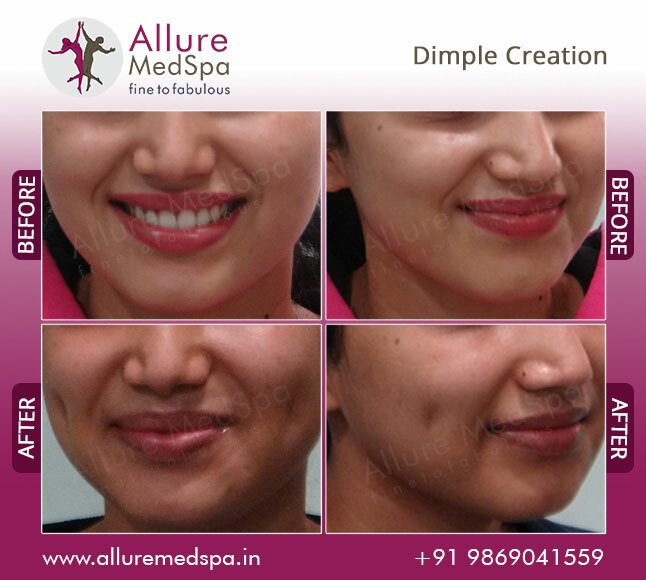 It is Dr. Milan Doshi’s goal to give you some of the best dimple creation. During your initial consultation with Dr. Doshi, you’ll be able to go over your particular goals, for facial enhancement. From there, he will be able to aptly determine the most optimal location for your new dimples that will best serve the rest of your facial features. The dimple procedure is done in the cosmetic surgery center under local anesthesia. You will most likely have some swelling in the cheek after the dimple creation surgery. This is usually minimal. There is practically no down time after dimple creation. You will be allowed to return home with your new dimples immediately following your procedure. You may experience some minor swelling in the treated areas. This is normal and will diminish Because there are no visible scars or incisions on the outside, your new dimples will look completely natural. 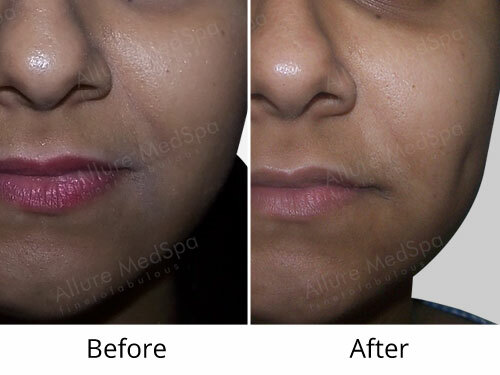 Allure MedSpa which is renowned for its state-of-the-art internationally acclaimed services, offers value for your money with cosmetic procedures. To know more about the cost of your procedure request a consult by filling the form below. Your consultation is your chance to ask questions about Dimple Creation and put your mind at rest. Your surgeon will be able to offer you full explanations and answers to all of your queries. Add A Beauty To The Face!! Dr. Doshi and the staff are without a doubt the most wonderful, professional people around. Any work I have had has always resulted in the best results possible, even better than I could hope for I will be a lifelong patient of Dr. Doshi, I just love him! 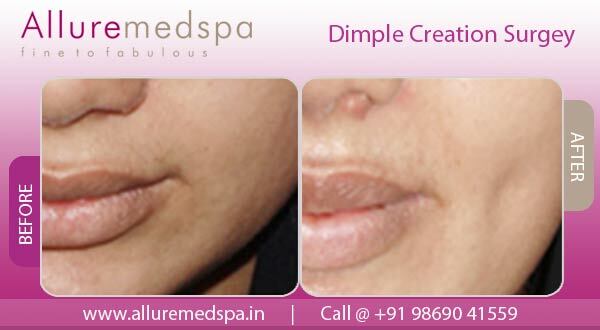 Dimple creation surgery can be done on any type or size cheek, although some cheeks are probably better candidates than others. 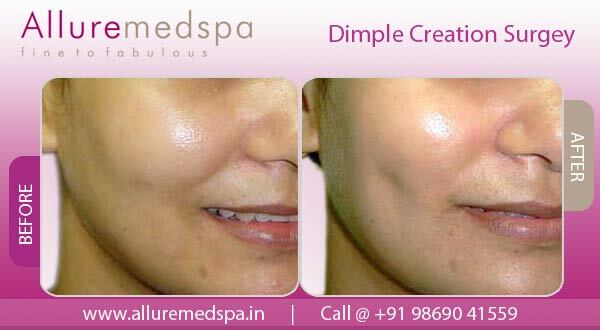 It is also important for prospective patients to have a realistic understanding of what a Dimple Creation can achieve. Becoming well informed about how the procedure can and cannot improve various cosmetic problems is the first step in deciding on the Dimple Creation procedure. This is a simple procedure that does not require much preparation, advice or preparation. This is a simple procedure that does not require much preparation. You should be able to resume office the next day. Mild swelling and bruising can be managed by prescribed medicines. There is usually a period of time after the dimple creation surgery is done where the dimple is present even when you are not smiling. This period is variable and can last anywhere from several days to several weeks and sometimes several months. As you heal, the dimple will usually slowly flatten out when you are not smiling and will only be present when you are smiling. The procedure will result in a permanent dimples. 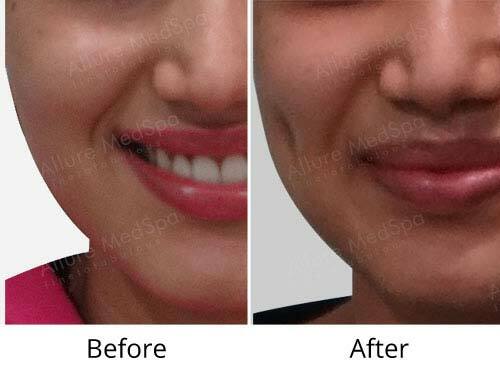 It takes about 20 minutes to perform Dimple Creation Surgery It can be done on the same day of your initial consultation, especially if you are coming in from out of town as per the schedule of your cosmetic surgeon. You might not need to miss any work at all after your dimple creation surgery is done. The swelling usually subsides in a few days. How long does it take the dimple to look natural? Although it might be possible that the indentation will last longer than a few weeks it is not common. We would rather air on the side of caution and have you expect to have an indentation there for a while. Can I choose where the dimple is placed? Yes. You and your doctor can discuss the best place for you to have the dimple. You can also have just one dimple placed, or two. Can I eat and drink what I want after Dimple Creation Surgery? You are free to eat and drink whatever you like after the dimple creation procedure. You may have some pain and discomfort in the cheek after dimple surgery, but it should be minimal and should not interfere with your ability to chew and eat normally. It is potentially possible to reverse the surgery with a small procedure to loosen the dimple. Initial consultations while taking a decision the first time are hence of utmost importance. Hopefully this will prevent the need of having to potentially reverse the dimple. Can I decide How deep or shallow my new dimple will be? Somewhat. The Dimple surgery is adjustable to a certain extent. There are many variables that might affect the depth, size and shape of your dimple. Some of these variables include how thick your cheeks are, how much fat is present, the shape of your face, and the balance of your facial muscles. You can choose the location of the dimple on your face. Do I need to come back to have any stitches removed after dimple surgery? +91 9869041559 or fill the form.